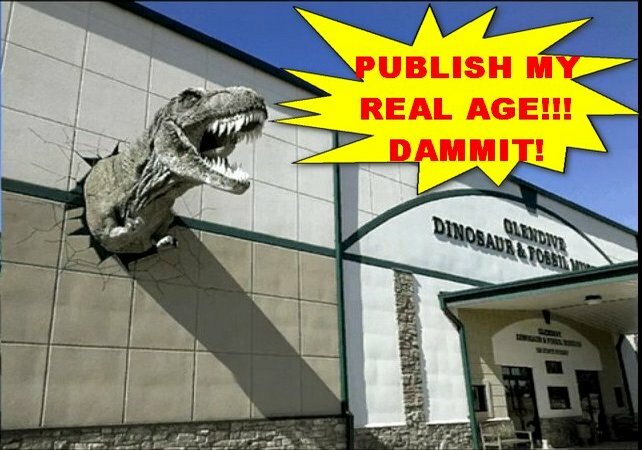 Sure, mainstream scholars would definitely have a problem with 290 million year old humans, because that would mean they would not only have seen the dinosaurs come and go 65 million years ago, and outlived them, but they would have predated them, whereas dinos are supposed to be “the model T Fords of their own human evolutionary line of ancestors.” So, of course, that wouldn’t do! Of course the writer (Ivan Petricevic) wouldn’t dare to postulate the only other possible answer, that Man lived and had his origins far more recent than the usual 3-4 million years ago! Why. Because he’s writing for a mainstream science (-) journal, which all insist on spreading the Darwinian faith, that all of Earth’s biological life forms evolved over “billions of years.” But what about this footprint in hard granite then? 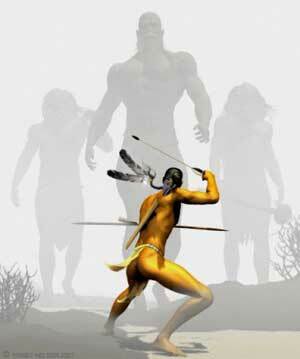 Was Man alive during the Permian? Obviously not! 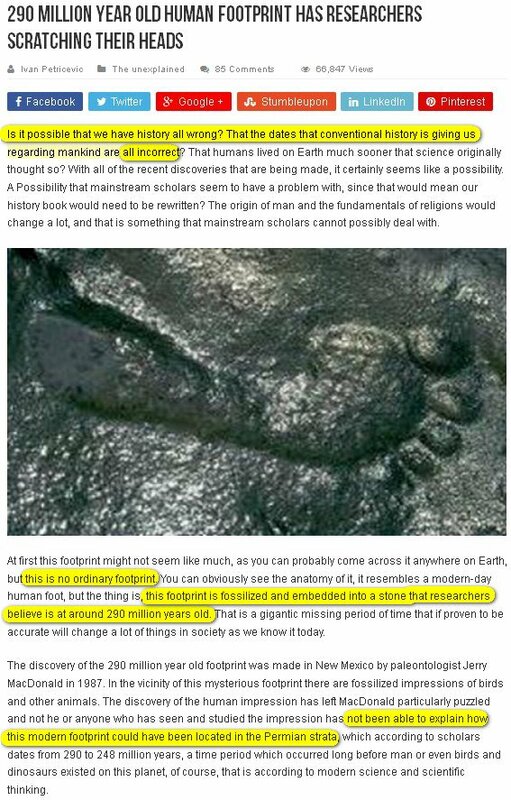 The only other rational explanation is, that the footprint was not only made within a 3–4 million year period – when Man ostensibly had his evolution — but seeing that that footprint is from a modern foot like ours, that ought to date it even more recent than “3-4 millions of years”, like.. a few thousand years only? 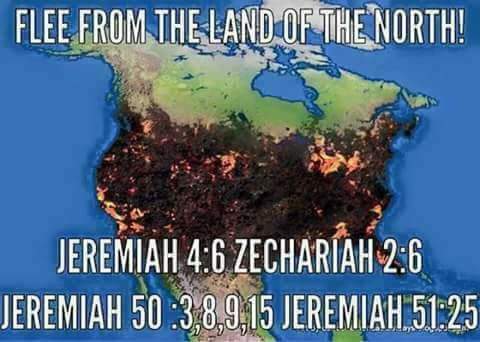 But then of course they’d question that immediately, “how could it ever be in Permian rock?” The Permian strata were formed “290 million years ago!” when there were no humans around yet. So what is the only possible explanation then? Simple! This modern man’s foot stepped on some kind of granite clay during an era when this rock was still fresh and soft! 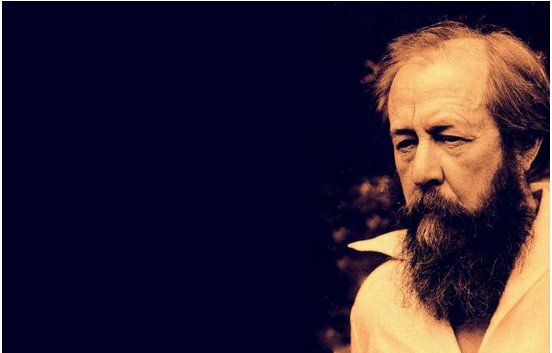 — A state of granite we never observe today! 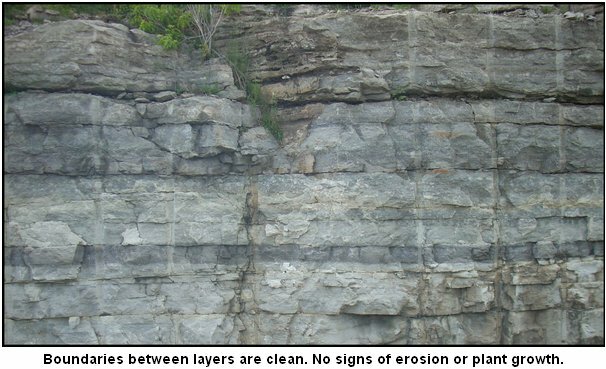 Could it have happened perhaps after a global Flood when all rock strata found below our feet everywhere were freshly laid and still moldable? Or is there another explanation! 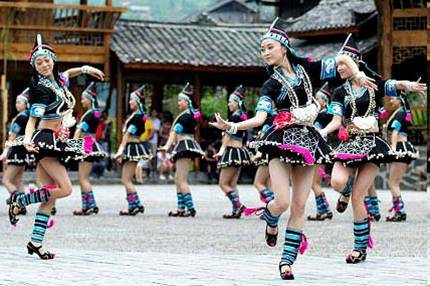 A global Flood, however, although a rational explanation, smacks too much of religion (because Moses wrote about it) and of “mythology!” Nevertheless more than 700 global ethnic tribes, nations, and civilisations wrote, talked, and even sang (the Miao people!) about a global Flood and eight people on a boat with animals who survived it! But somehow modern science chafes against a Flood narrative, maintaining already for 150 years that “a global Flood never happened!” Why! 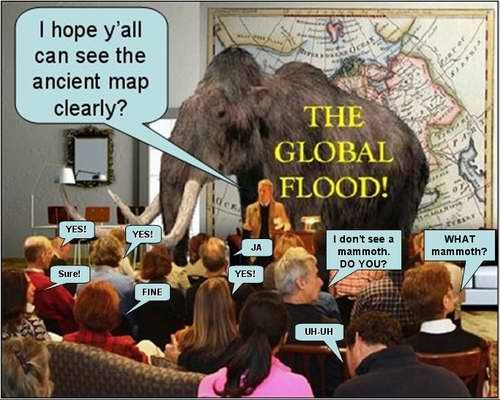 If a global Flood really had taken place in a far more recent past than the Permian, it would have automatically canceled out their preferred narrative of Darwinist macro-evolution, and make it and its terms fully obsolete. Because if we don’t have a Darwinian pop genesis of African Lucy or the by China preferred Beijing Man, there’d be only one other Genesis left! The one they don’t like. 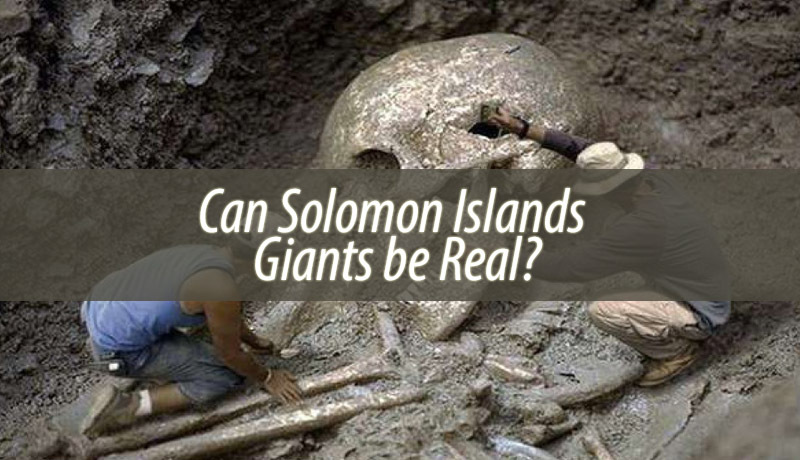 How Were Those Puzzling Jigsaw Megaliths Ever Built? IF Darwinian historians DO talk about the Megaliths — as they tend to gingerly evade that enigmatic phenomenon, as much as Permian footprints and Sakarra vases! 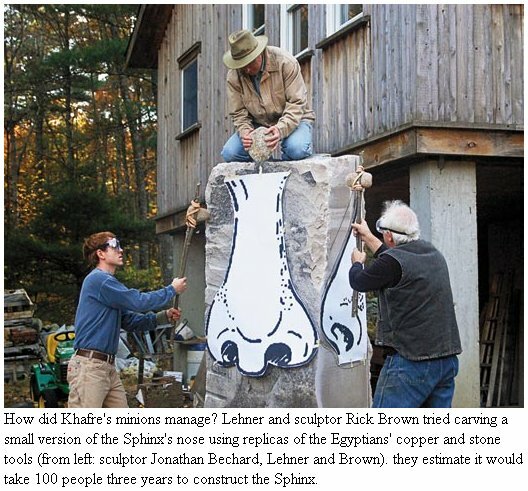 — they state that the perfect seams between the mega stones were made by “humans patiently carving its sides with mere (inadequate!) 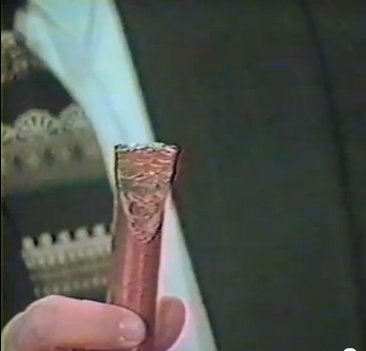 copper chisels“, as ostensibly there was no iron during the early Bronze Age when the Megaliths were made. Although really there was iron, but in small quantities. 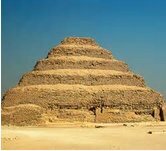 After all Iron was found inside the 2300 BC built Great Pyramid. 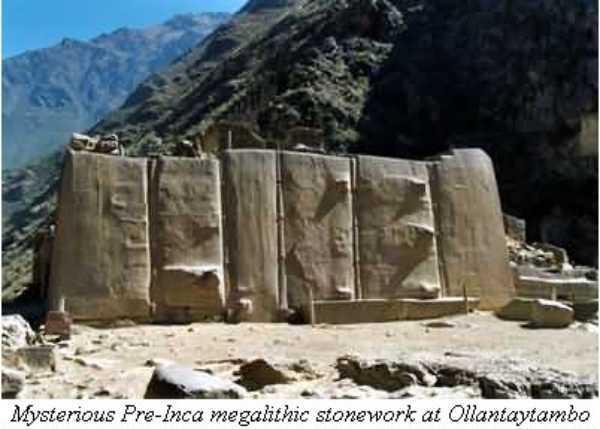 According to their ‘slow chiseling‘ theory, the builders repeatedly positioned these huge 6-8-10-12 ton stones down on each other, to check if they had already attained the perfect fit they now show. Then they ‘somehow’ lifted them again (how we don’t know) to painstakingly continue chiseling them again and again to ensure that no paper or razor-blade could fit between, lifting them again & again, etc. carving them for decades into perfection, ad infinitum! Because that is surely how long it would have taken these Bronze Age humans 4.200 years ago. Forever! How ludicrous can some historians get? These megalith walls above and on the right could never have been made by continual lifting and carving, because there are not even tool marks on them, and they ARE WAY TOO HEAVY TO LIFT! No! Sorry. They weren’t made by Aliens either, for the obvious reason that high-tech Aliens, who ostensibly got here by space-ship, normally didn’t built those from granite or diorite, like some alien Flintstones. And if Aliens really would have made those walls — If they really had need of such crude ineffective fortifications while armed with all-powerful high-tech laser-beam weaponry! — they surely would have made them smooth and nice-looking instead, and used high-tech composite carbons or other to-us-unknown advanced metals. Wouldn’t you think? 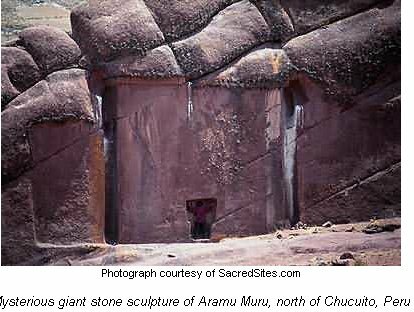 Here is History.com ‘s Alien UFO over Markawasi megalith in Peru! And they aren’t even embarrassed by their own asinine nonsense. 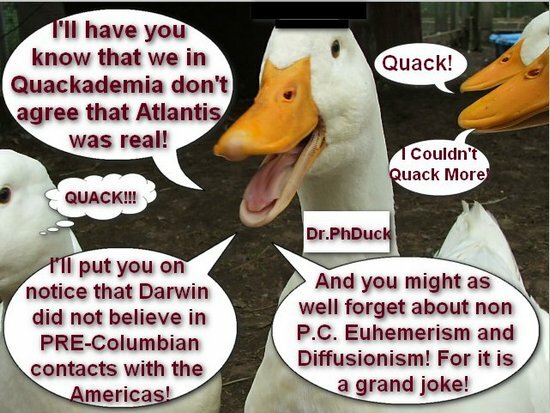 Many of these “pop-historians” must either be mentally retarded… or they really consciously chose to be mere moronic shills for the Darwinist thought police of Quackademia. 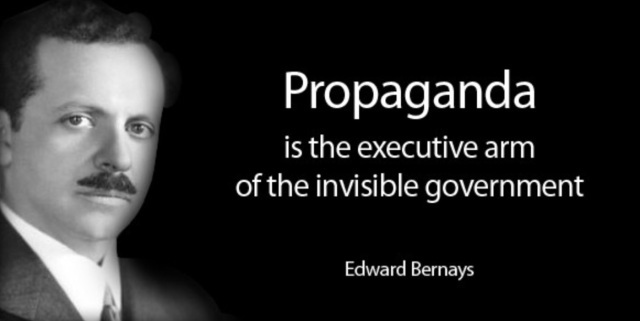 How else would they dare to slither to such depths to fabricate fables and spin their webs like History Dot Com does? That outfit is nothing more than a deliberate disinformation den for dire Darwinism! Sad to say, lots of people consume the swill and swallow it as if it were the Gospel, and that is doing the Gospel a disservice. The only aliens I believe in, are demonic spiritual entitites who have no interest in megaliths. 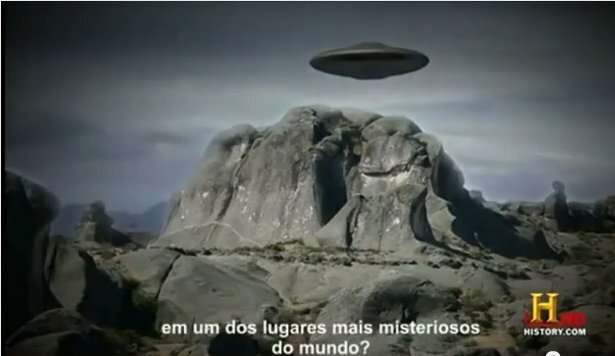 Here is another one for alien affectionados. Enjoy. 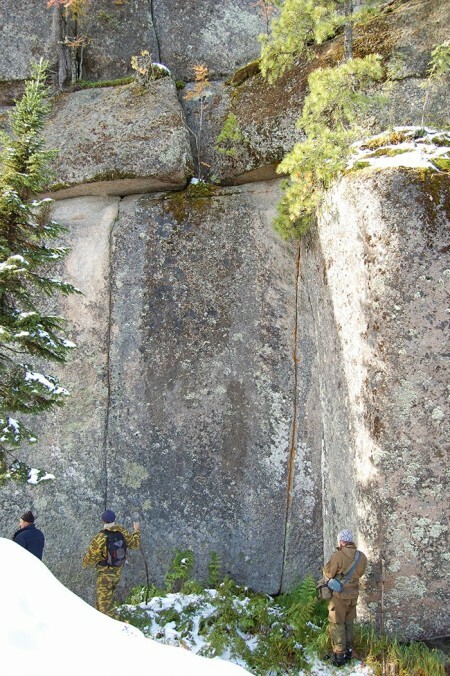 Megaliths Were Made by Man! How! 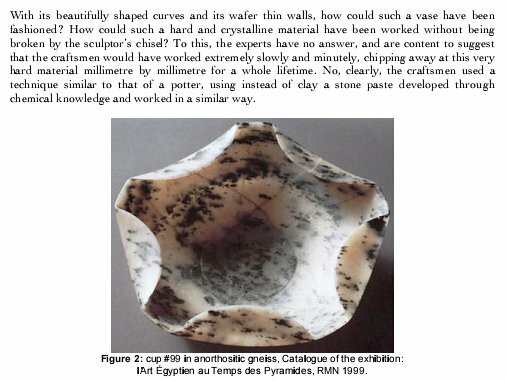 Same explanation as the 36.000 diorite Sakarra vases. These ancient builders somehow had access to a source of fresh granite ‘clay’ that got pressed out of the Earth, intrusions by the very forces of those tectonically super active post-Flood days, from below the Crust where it had not yet been exposed to air to have hardened into the steely granite we observe today. Mind you, this was not hot lava which instantly cools and hardens. This unknown stuff obviously stayed plastic for a longer time, as you will see. 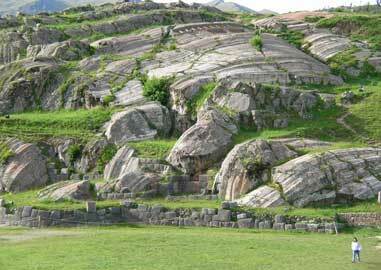 I’ll also prove to you that they found that material right there on the spot in Sacsayhuaman and made those three ranges of gigantic megalith (=big stone) walls, by slapping the scooped material together into voluminous polygonic rounded shapes. 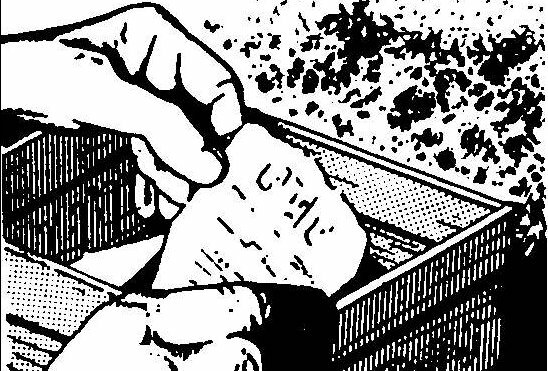 Then, after they had finished one stone that had begun to harden, they’d scoop together the next stone in the row, perfectly fitting them together just as clay naturally does. By the time the bottom row had hardened enough for support, they’d go back to the beginning of that blob-shaped wall and slap together a second layer of blobs on top of the already formed “megastones”, and so on and so forth. 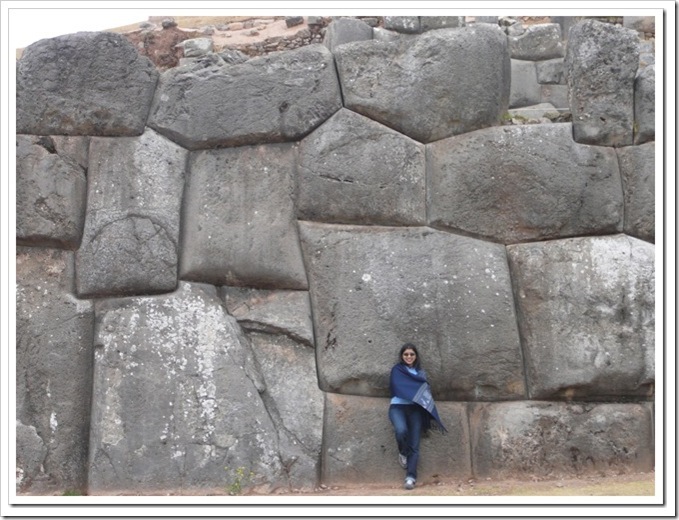 Either after or before they finished that Sacsayhuaman “fortress”, they apparently had lots of material left to make this time a nice smooth wall instead, inside of nearby Cuzco just a few KMs down the mountain. And this method was actually done all over Peru in several different locations as it seemed to be a common practice with different styles and applications. 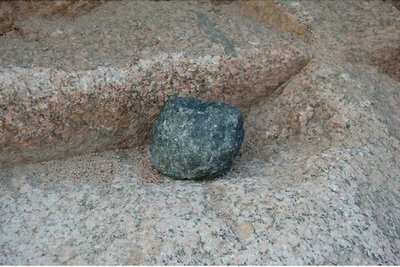 Why was soft granite possible? 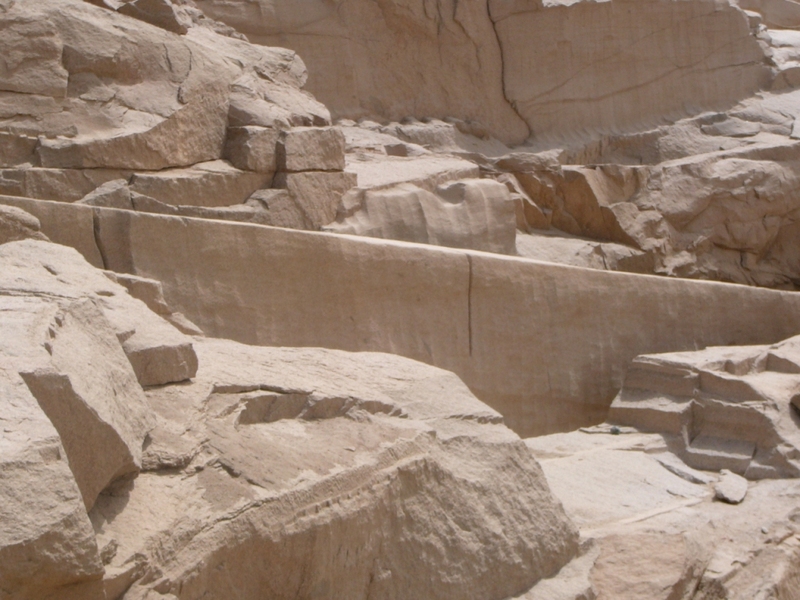 Because this construction took place around 4200 years ago (2200 BC), immediately after the Global Flood had just freshly laid down the global eroded rock strata and they were still soft and pliable! But why do mainstream “historical scientists” not say that? Because –honestly– some of them are smart enough to realise that this would have been the only possible M.O. 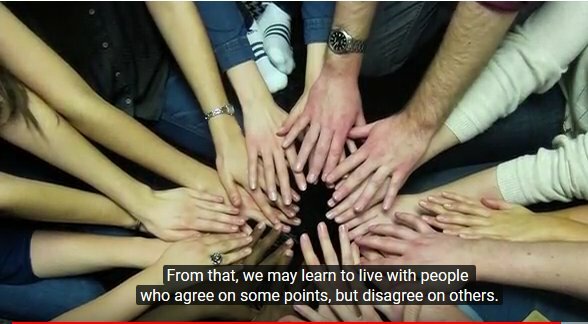 (Modus Operandi) that makes any sense whatsoever, but they prefer to go along with the show in order to keep their cushy academic jobs and thus they are obliged to keep their mouths shut. Mum’s the word. Like this one smart geologist I communicated with a while ago. 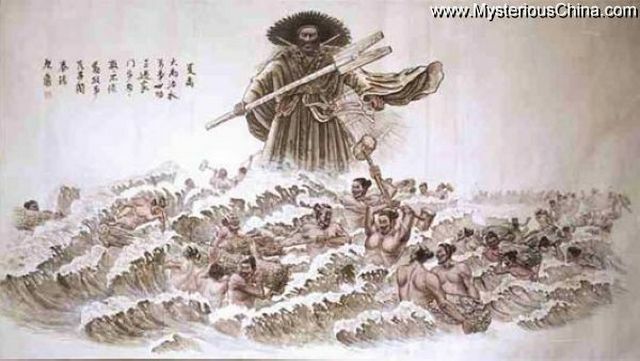 We talked about the obviousness of Flood geology, and she said that many geologists would easily go along with that paradigm, but they have busy jobs and families and little time, and so prefer not to make any waves. Survival instinct. Natural selection! Evolution! Ha! Because the obvious, only reasonable, rational explanation is not even religious, but just a very natural materialistic one, which however can and does lead to religious implications: Which? 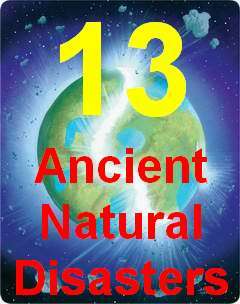 That their “scientific” religion (scientism) of Neo-Darwinism has no leg to stand on whatsoever and is plainly wrong, totally negated by ample evidence and proofs in the natural physical world that ± 4400 years ago the Earth was hit by a devastating, catastrophic worldwide Flood! 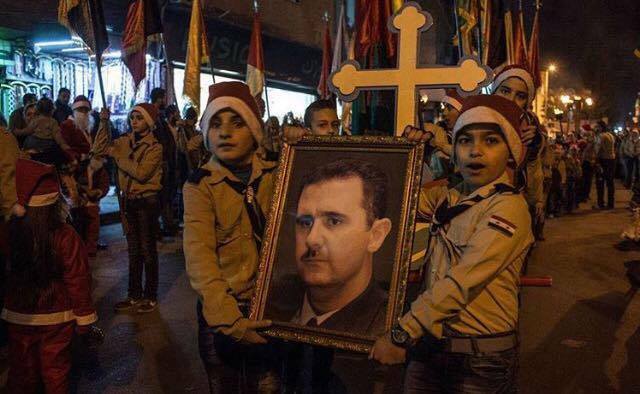 But they prefer to get away from Moses in the Nile! Denial! Flood deniers! Where Did Sacsayhuamans Get the Clay? At the top of the mount you notice on one side a series of huge steps carved out into the hill that serve no obvious purpose and would have taken supposedly dim troglodytes years to carve out with chisels! 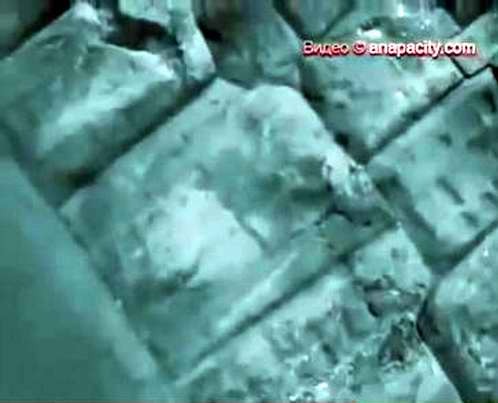 Obviously these steps were really molded and carved out of soft material when it was still moldable! Remember, we are talking granite here! Therefore that entire hill consisted of some kind of to-us-unknown soft granite clay that got pressed some 50 M. up out of the ground! Here is a close up. You can vaguely see the triple megalith walls on the far left across the field. No copper chisels would have survived such a devastating infinite job as carving steps out of super hard granite. These steps are tens of meters long. You can see a person on the right top for comparison. On the right is a destroyed copper chisel after trying to carve granite with it, but actually NO copper chisels were discovered by archaeologists there, where they ought to have spent hundreds (if not thousands!) of them on such an impossible and thankless task. But that is by far not the most convincing proof of granite ‘clay’, yet. Here is another side of that same hill where you can see the results of how that “clay” oozed out of the ground 4200 years ago, as if it came out of a cake-cream-piping pastry bag or toothpaste tube! It is so even and smooth that children use it as a giant slide. This could only have been formed in one single event in time as it was pushed out of the surrounding hard rock which gave it its uniform shape! Enjoy and deeply contemplate to ponder the simple elucidating view. 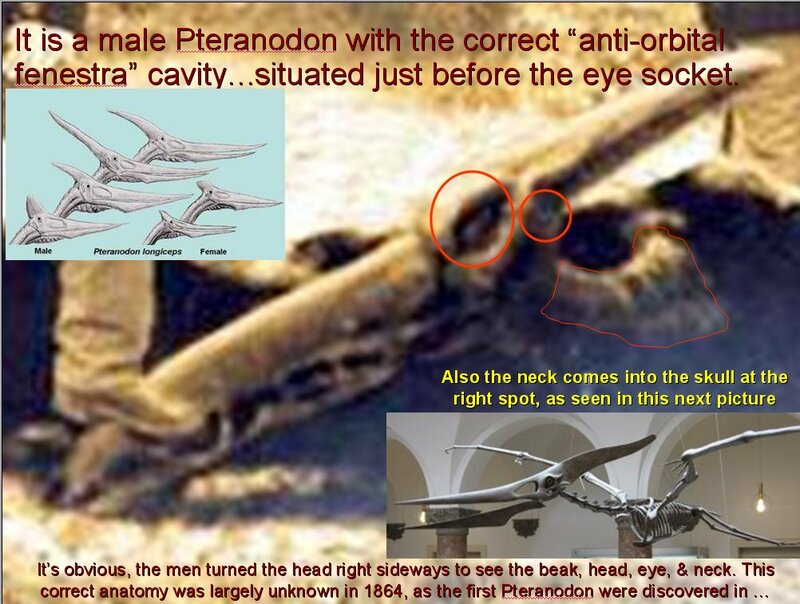 We must give due credit to another common sense archaeologist, the late Dr. Alfredo Gamarra from Peru, who discovered the same thing many years before we did (independently so! 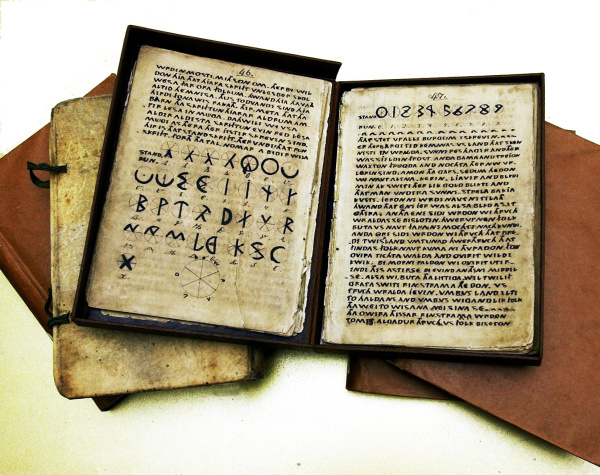 ), which, when we discovered his research, was a great comfort and confirmation to us, as you can surely imagine. 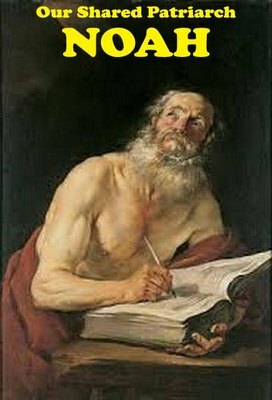 Remember though, you read it all first at Ancient Patriarchs (Formerly the Paradise Post our former blog whose server was sunk by DDOS attacks! One wonders why!) 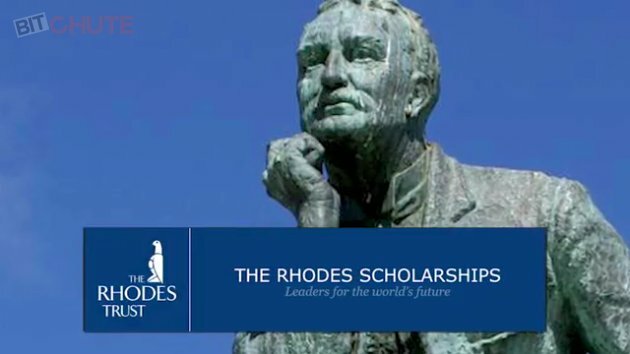 Please promote our research! 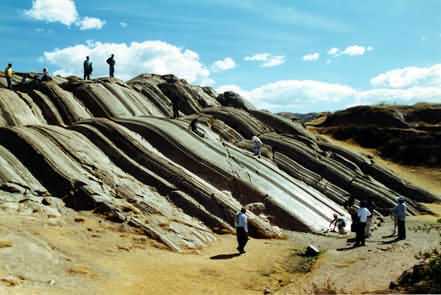 Apart from Cuzco and Sacsayhuaman there are many other places where this ‘clay’ phenomenon can easily be recognised for what it once was: soft granite clay! 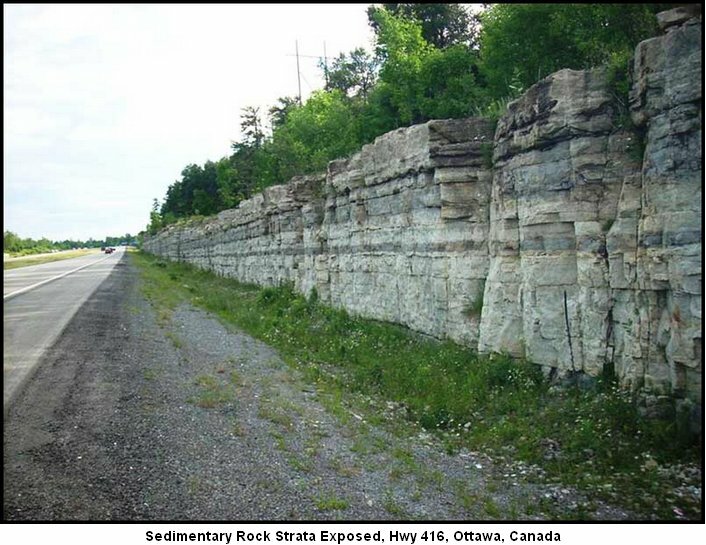 Like all the examples below, the supply rocks were also obviously sticking and elevated out of the ground — they call them intrusions — compared to the surrounding terrain and pressed out from the ground and consequently the soft material got cut and moulded by people in those early ancient times either with spades or other tools, or who knows even by hand. 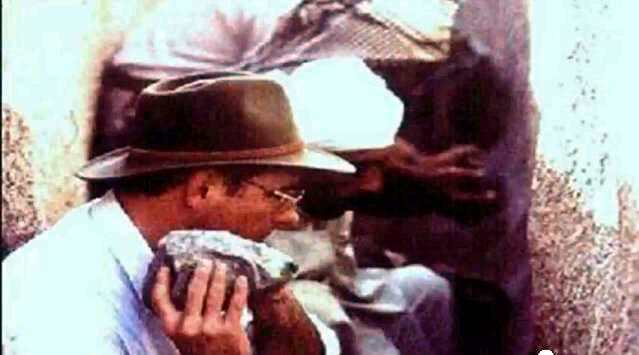 Mind you such ‘clay’ is never found or observed today! 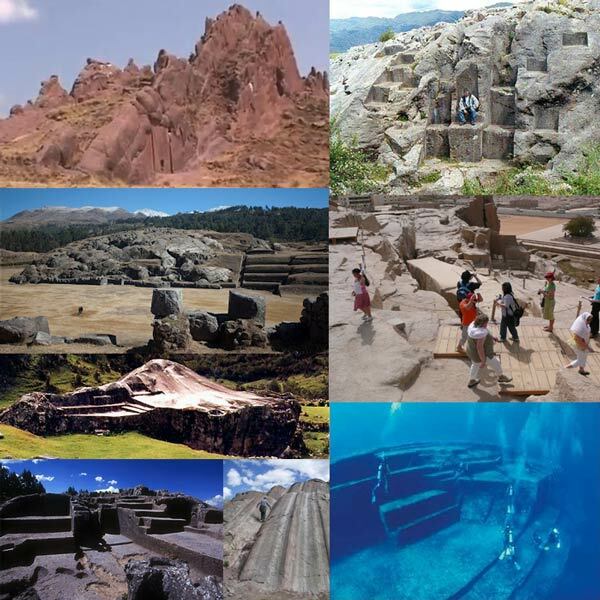 From top left to bottom Right: The reddish “star gate” Aramu Muru –that sticks out of the mountain as a wall — Quenko, Sacsayhuaman, Asswan Egypt (see chapt. below), and last Yonaguni which sank below the waves around 1500 BC. How did quackademia miss it? I tell you how. Because they don’t like soft granite that emerges unlike lava but stays plastic for a long enough time to be gradually molded into nifty stone walls! 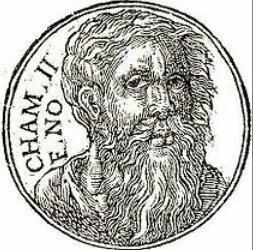 This clay also supports the GLOBAL FLOOD which the uniformitarian top dogs prefer to obfuscate and deny, apart from all the other ample evidence and proofs on our blog here. How about Egypt? Europe? Orient? Our theory is that these stubs were the results of the clay-drying process plus pressure from stones above, so that they widened out at the bottom naturally at the front, as there was no room at the back of course. Were they perhaps even leaking liquid at those spots? And were the stubs even often stylised and beautified by builders, because they could hardly prevent them from forming? 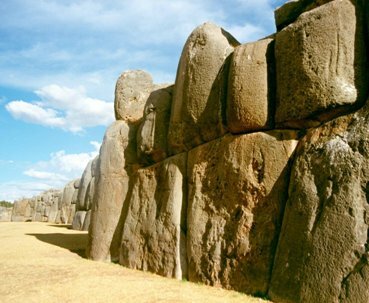 See how the stones in Sacsayhuaman Peru sagged and bulged outward, compared to other finely finished megalith walls inside the nearby town of Cuzco, most likely from the same source material. 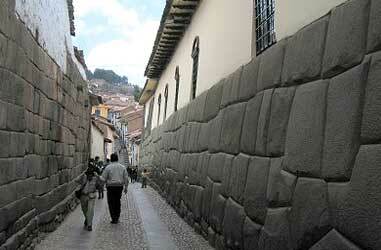 Below you can see the famous wall inside Cuzco City where the stones were very smoothly finished by the pre-Inca builders (Shemite Pelasgians or progeny of (C)Ham?) But they somehow could not beautify or remove the random stubs — ever positioned at random spots at the bottom of some of the stones. Leakage? 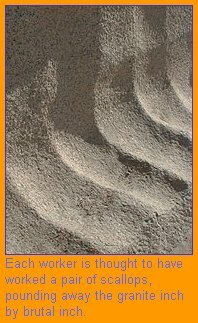 Or some unknown chemical process inside the Granite clay that we presently have no empirical experience with? 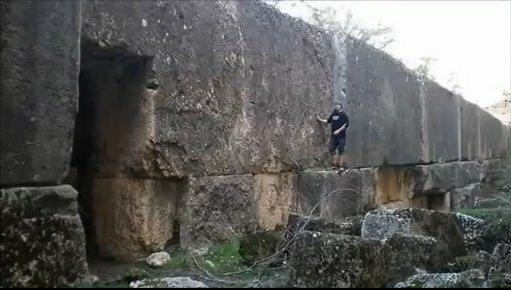 And contrary to quackademia- & media- guided public opinion, that “megalith jigsaw walls are mostly found in South America”, we’d like you to know that Cyclopean megalith walls are abundant in Europe just as much, in Greece, Italy, and many other places around the Mediterranean, Lebanon, Egypt, and even up in Siberia Russia! 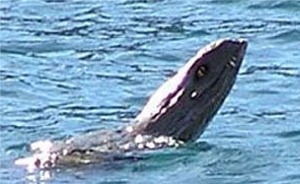 Here below is one Greek specimen. No paper or razor-blade can be inserted, except where earthquakes distanced the naturally fitting original stones. Even below the Black Sea near Anapa City Russia, there are megaliths. Here is a megalithic Bronze Age wall under water from the time around 1500 BC when the Black Sea (and the rest of the world’s coastlines) was flooded by the Ice Age melt water causing 130 M. rising sea levels. 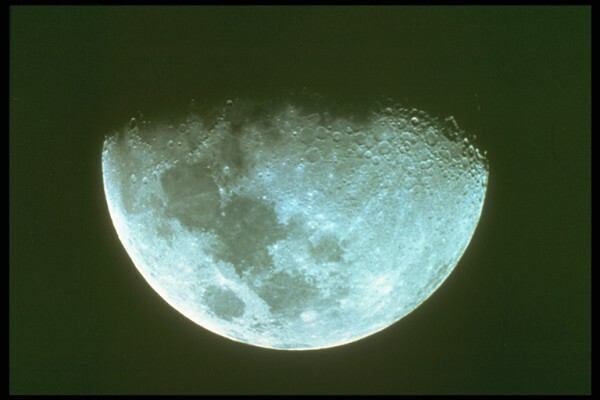 It shows that the Ice Age did not take place in the erroneous (or rather false!) 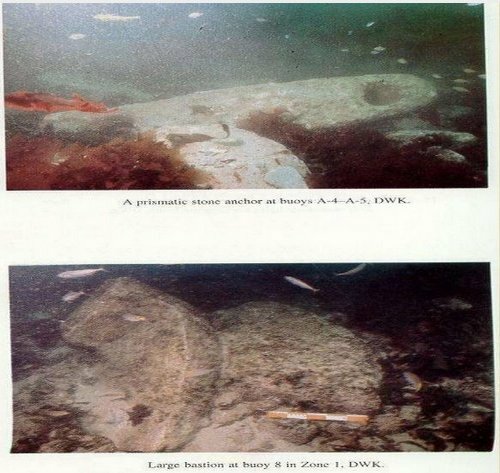 Darwinian 12.000-20.000 -50.000 BP (before present) or older dating (which they can’t prove as we can our 1500 BC dating with archaeological Bronze Age megaliths underwater, including documentary proof from the Indian Mahabaratha & Greek historical legends! 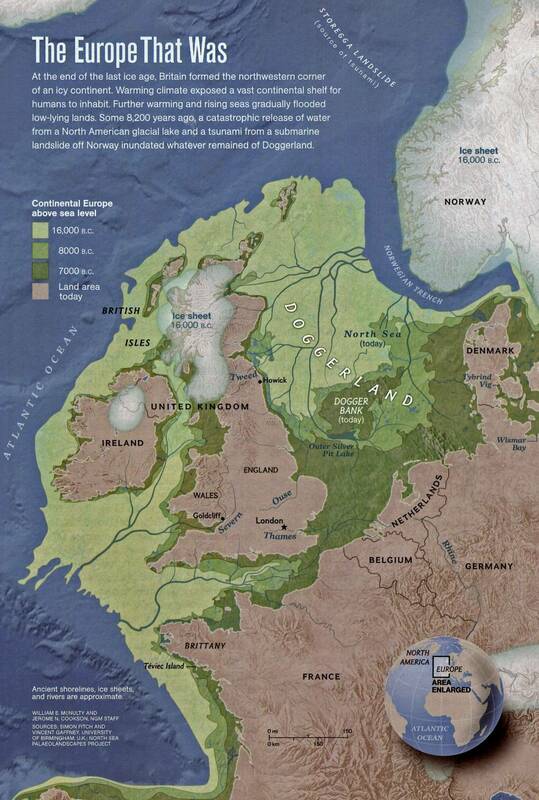 The real Ice Age was far more recent, to wit from around as early as 2200 BC-1500 BC. Tested and proven! 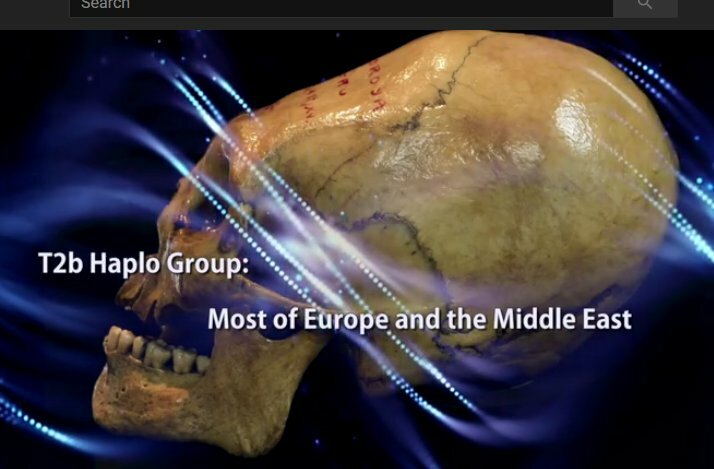 And so we see that the Megalith builders were the real ancient forefathers of the Human Race, and NOT Palaeolithic morons nor dim Cavemen and that the erroneous Palaeolithic and Neolithic periodisation terms ought to be renamed and re-ordered as the Megalithic period, which didn’t happen before 12000 BP either, but around 2200 BC onward until the Bronze Age really had set in, and the clays were dried up! Apart from the interior of the Hall near the Sphinx where the stones outside were eroded by the heavy Ice Age rains that also watered North Africa’s abundantly fertile cattle raising and grazing fields and weathered the Sphinx, the inside of the Mortuary is beautifully finished and the stones also tightly fitting in a megalithic way. No paper nor razor on between! 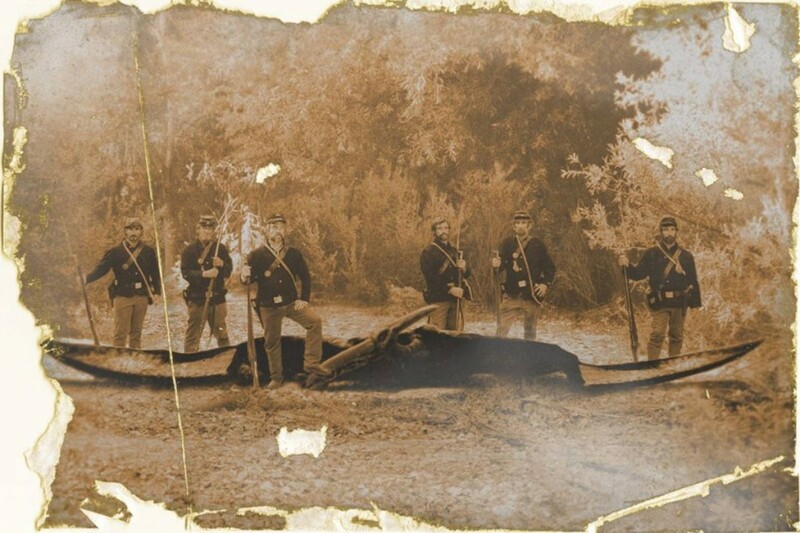 Read the comment below of mystified Darwinian historians who precisely because of false Darwinist periodisation and dating can not understand why the inside of the Mortuary is smooth while the outside walls are so weathered. 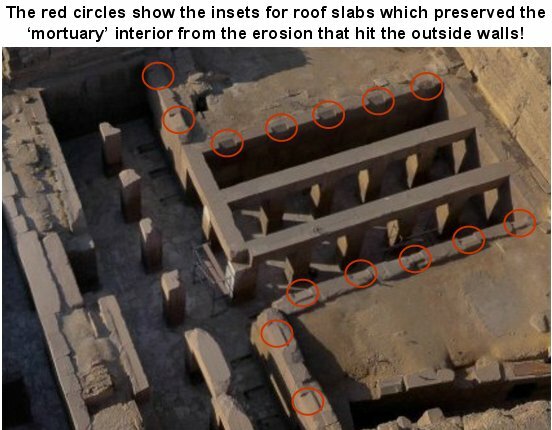 An added reason is that the original missing ceiling stones were removed, that used to protect the interior against the heavy Ice Age rain that eroded the outside sphinx and Giza pyramids, but also watered the Sahara which used to be cattle grazing lands until around 1500 BC featuring rivers and Triton Lake below Tunisia! 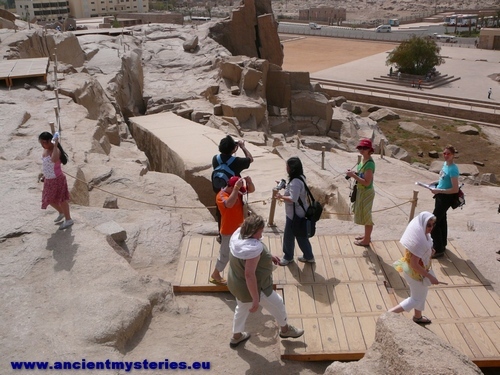 Can you see what I see down there in Aswan where the unfinished Obelisk is resting in the middle of the picture? Right! It is yet another elevated mountain of granite pushed up out of the surrounding flat city region! And pretty high as well! Now look at the side of the Obelisk, and even the rock walls around it! What do you see? I see scrape marks everywhere! Especially on the side of the obelisk! Parallel regular vertical scrape-marks! 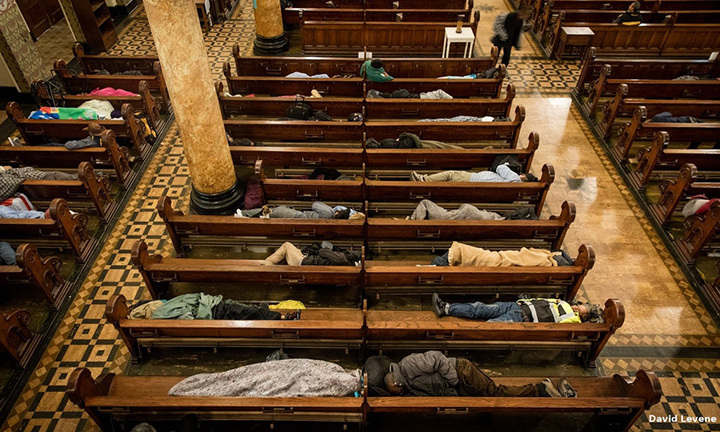 If they were lying down on the floor it would look like some children were scraping parallel tracks neatly next to each other in the wet beach sand. But you know what “expert” Egyptologist quackademics say? 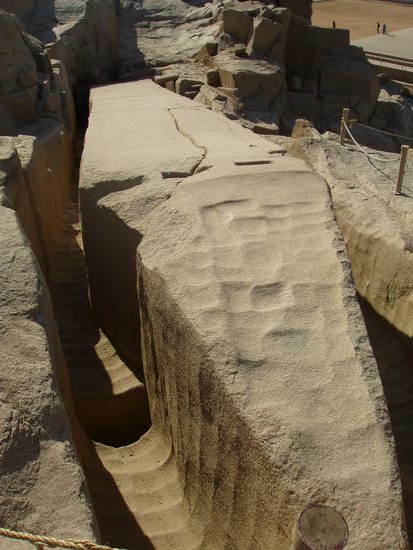 The Obelisk was painstakingly shaped by the poor Egyptians around 4500 BC with “Dolerite Pounders!” Can you believe it? 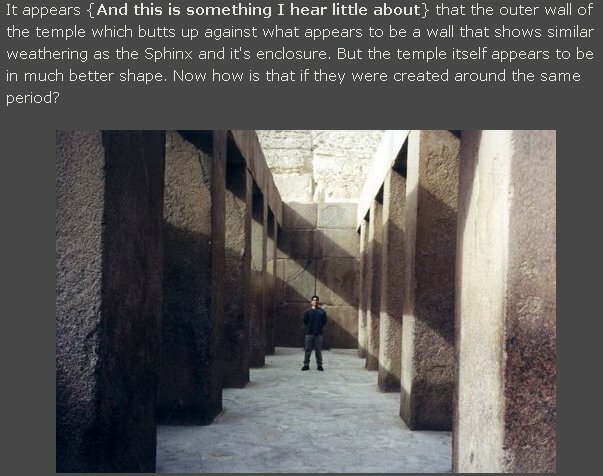 Well Lehner (pic below) and Denys Stock (pic below that) appear to believe it and they tried to prove it with stone hammers and “scallop” shells… on granite? You gotta be kidding! 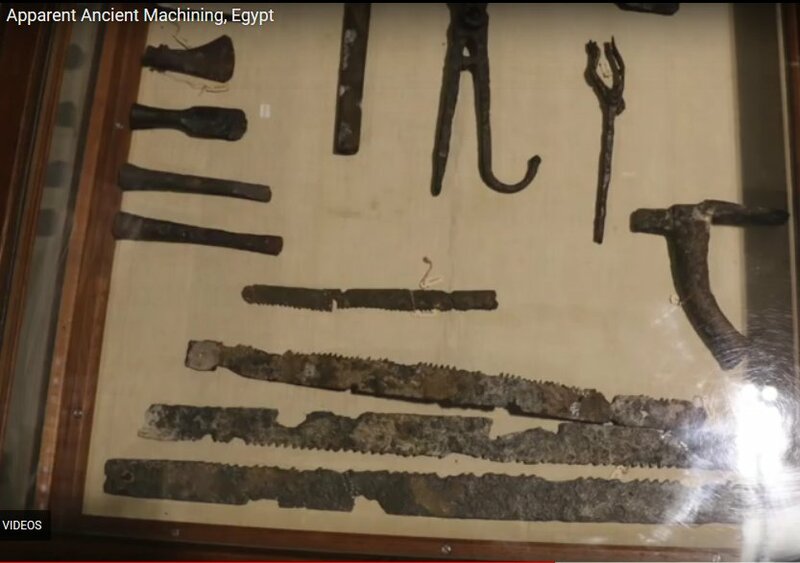 Those poor Egyptian workers would have been working for years with horrible dreams at night of pounding rock sounds vibrating through their poor minds, hearts, and bodies! I am not kidding! That is the official theory! Here you can see Lehner doing his darnedest to carve granite with a dolerite pounder in the trench of the obelisk. he had to give up after being vibrated to the core of his body and he didn’t hardly make any dent in the wall. You can see how impossible it is in the right photo where a supposed “pounder” lies in a impossible to make seam for a round pounder! 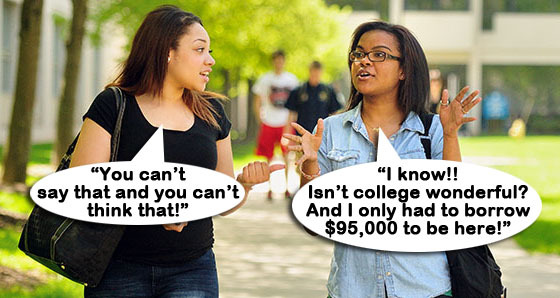 They are lying through their academic teeth! 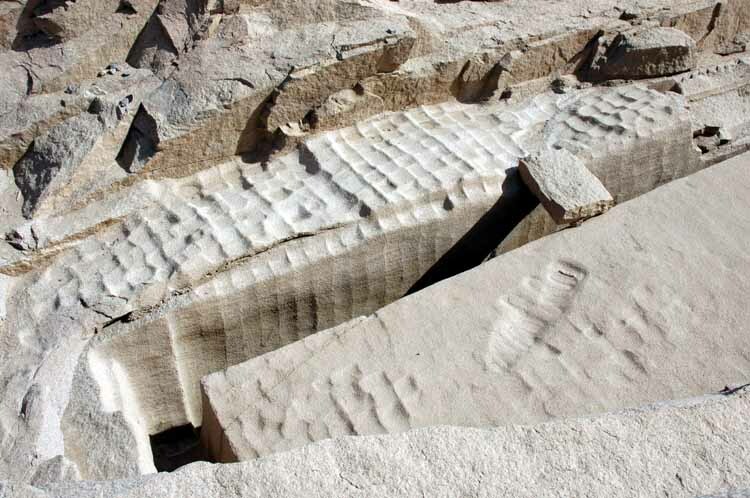 The picture below shows the vertical parallel grooves, not only on the obelisk, but also on the surrounding quarry walls at the top of the photo! They were obviously cleared to make room. 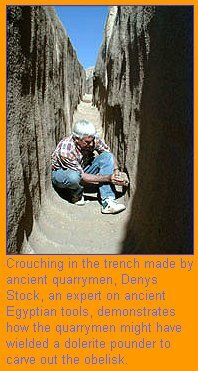 Now do you think for a moment that these workers would not only carve the obelisk with dolerite pounders for years on end, BUT but also the quarry walls? Wouldn’t all that unnecessary carving be a tremendous waste of time if it was done with dolerite pounders? Of course it would have been! And that is why it was NOT done like that. No, ladies and gentlemen. That rock quarry granite was still fresh from the ground and soft when it was forced out by some tectonic pressure from below, and the Egyptians at Asswan went right to work carving out the rough shape of this obelisk, up and down, up and down, with some kind of sharp rounded shovels or scrape tools that made the grooves that formed the thing, until… the clay top fell away an inch from the lower bottom along some break-line of weakness in the clay (see left side of photo and the next photo), perhaps when the dug trenches did not support the block anymore and caused a loss of pressure to keep them together? In this photo you can see it very clear. 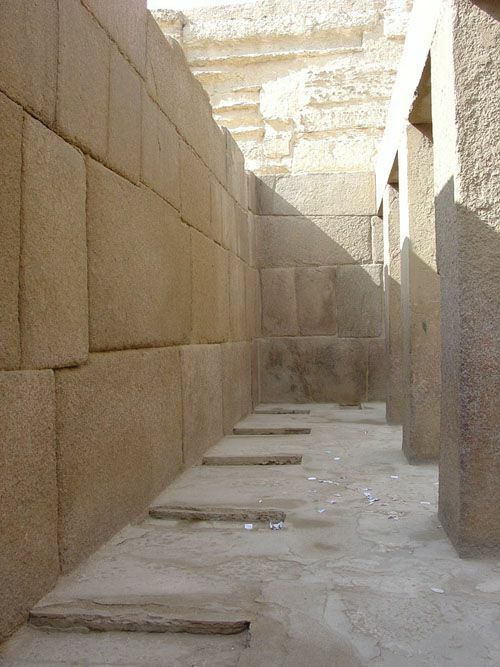 Even the pyramidical top part was platted with some square pounder to make it oblique or tapering down to the pinnacle. Everywhere you look at this rock quarry you see scrape and platting and stamping marks, even in places where they weren’t forming anything useful. They were clearing up the environment by scraping surfaces flat and making smooth walls and surfaces that were easier to work on. Do you for a moment think that they were clearing surfaces for decades with “dolorite pounders?” You must be kidding! Remember my cheap Brooklyn Bridge offer, OK? Above you clearly see the impressions made by some square pounders to flatten the entire adjacent top working surface next to the obelisk below in the photo. You can also see that the so-called break in the middle of the obelisk is not a break at all! Why? because Granite doesn’t break like that from being worked on. That break line was caused by the soft material falling away from each other because the pressure from the sides was scraped away and therefore it fell apart! 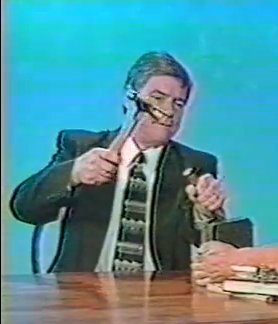 But perhaps we should give Lehner and Hawaz a break because they may be under severe pressure of the top dogs of international Quackademia to keep their mouths shut about what Egyptology really shows and has to say to the world, perhaps even under threat of capital punishment? Because that is how vital Darwinism is in this world for the management of the slave classes. 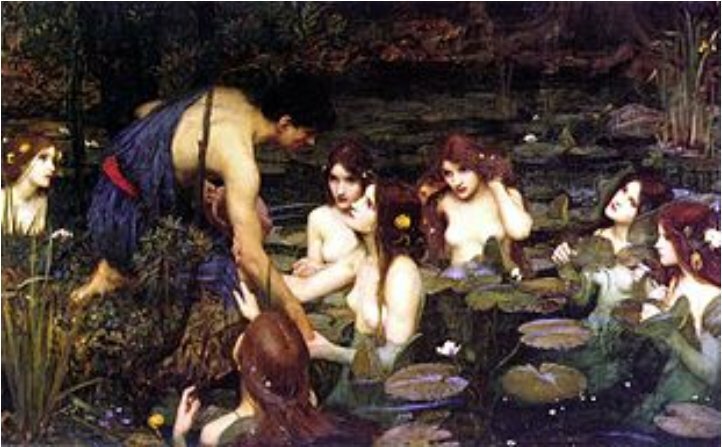 Religious ideas and truth would make the masses independent thinkers, as people were liberated from Papism during the Reformation, and the PTB (powers that be) brook no competition. You can also clearly see that the vertical cut half-way down the middle of the obelisk is not a break because it stops halfway. It was something slicing through and not very even, at that! Perhaps it was even done by a rope sawing through it, perhaps to make a shorter obelisk from the rest that was still usable? Whatever it was, it also proves soft granite! A saw would have made a thin straight cut. We’ll never know in this World until we get to the other side and can watch the real footage in the Heavenly History Museum, where you can even be present while the labourers were slaving away at it, and feel what they felt and smell the granite clay and the Egyptian wind with all your 5 senses in the Heavenly “Feelies!” Far better than your earthly Hellywood Movies! 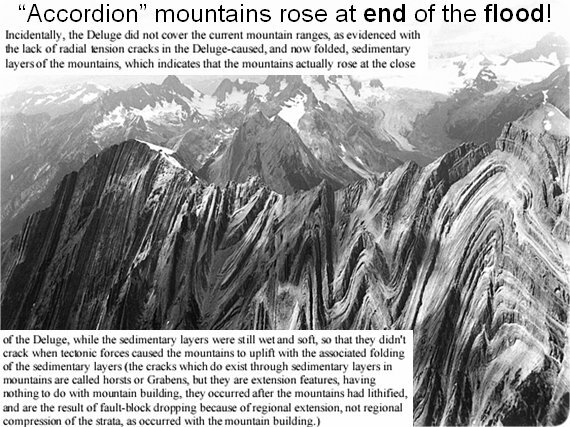 Thus the reason, that the construction methods of the obelisks and megaliths remains mysterious, is most likely because Quackademia obfuscates the real truth, unless in their scientistic blindness they didn’t even realise that the material was soft, because they were still the recent left-overs from the global Flood. Just as the bent mountain strata didn’t break to show crack marks where they folded. But I doubt that they didn’t realise it. 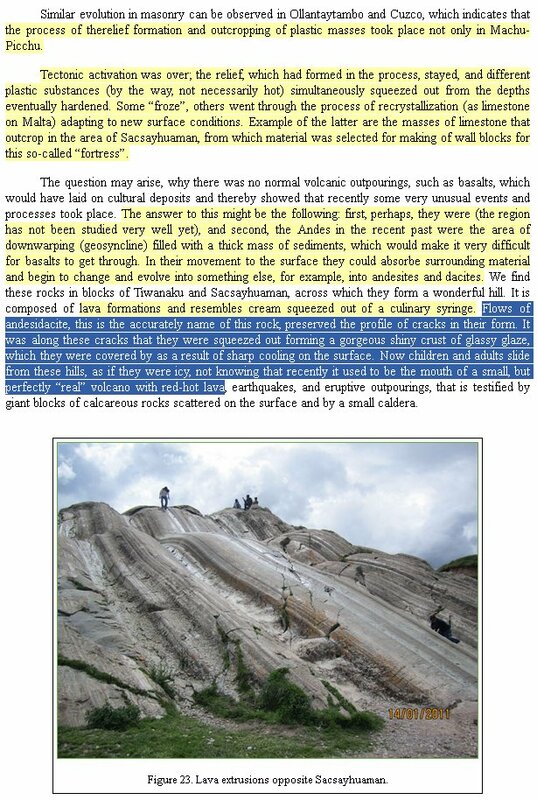 They look way too much like scrape marks, so they willingly ignore and obfuscate the truth of still soft sediments and squeezed-out soft granite and other rock kinds, because they fully ignore the MAMMOTH in the Historical Living-room, the Global Flood, for their own religious reasons. The post-Flood 125 M. sea level drop! The green desert-less early Earth with lots of rain & ice! 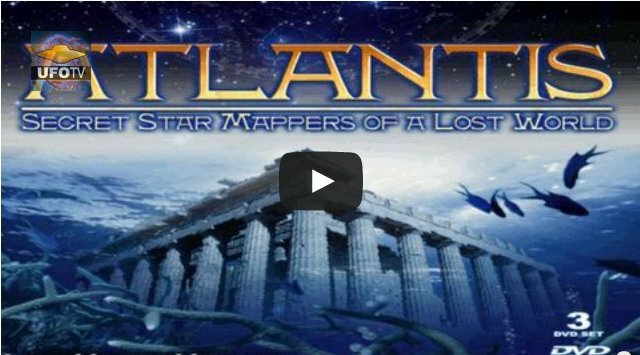 Many sunken Bronze Age ruins, towns, structures, etc. 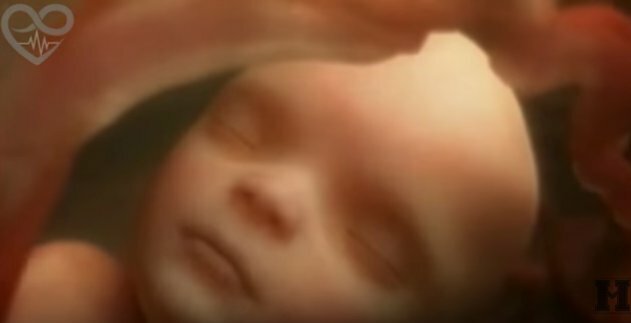 Every one of them is covered up by Quackademia and Media paid for by Bankia, in order to keep the false Darwinian narrative alive in the minds of the bamboozled billions of Earthlings. 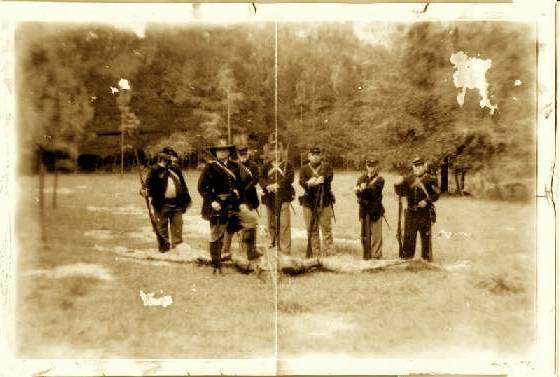 If so, quickly read our other articles on this History Rebellion Site! I’ve always believed there was one Antediluvian group of people/survivors to account for all the megalithic building all over the Earth. 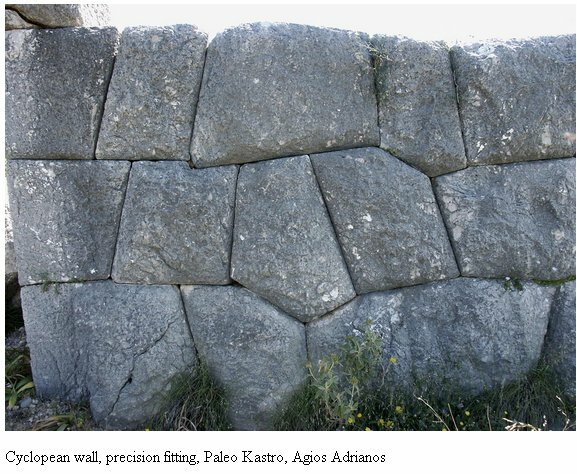 We so often see inferior rubble walls build on top of the MUCH older enormous giant stone blocks, etc. We had knowledge of geopolymers and/or stone softening. Anyway I love your website and will spend many hours on here I am sure. I have been interested in this subject(s) for well over 55 years! Dear Liz, there was indeed ONE antediluvian group of 8 Flood Survivors on the Ark who were the patriarchs of all megalith builders, even the giants, probably via Ham’s wife’s DNA into Canaan. There were no other survivors, at least that we know of, although the Irish Clonmacnoise chronicle does speak of some. (?) We will find out in the Heavenly History Museum after we get there. You will find me there often, I imagine. This is a topic that i have been exploring and very curious about. Thank you for giving me the answers! And especially from a biblical perspective~ Totally love what you are doing ❤ God bless!! Thanks for your encouragement. 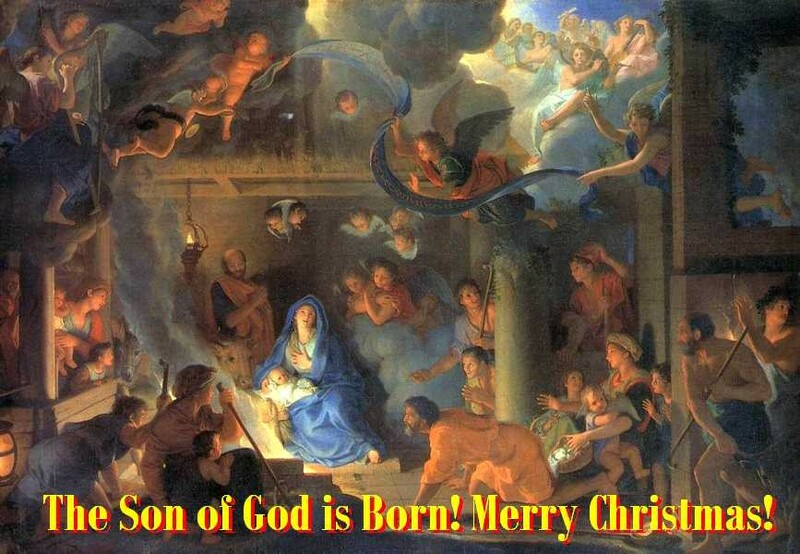 Praise to the ONE! Darren, are you the friend of John Hext Fremlin? First of…nicely done article,and very interesting. I have been looking for a site like this one for so long that i feel pretty comfortable telling my side of the story to your readers. Using my traveling privileges “personal pass system” during my days off, i’ve developed a real passion for megalithic structures and ancient cities that I’ve repeatedly visited over the years. My favorites being Cusco Peru for its proximity to many ancient sites and the Gizeh (Giza) plateau..
Like everybody, i can only guess of what might have happened in the past 15,000years or so. I’m NOT a specialist in the fields of archeology and my opinions are simply based on what i have seen,touched,measured and compared to. Everytime i discover something new i keep an open mind and take a scientific approach of not jumping into conclusions but i have seen so many stuff in my short life that i am absolutely certain of one thing, the ‘copper chisel’ thing with elbow grease and a ‘can do’ attitude makes no sense what so ever. That being said,I believe the establishment should take another serious look into the Silurian hypothesis. Again,keeping an open mind is key here as there are soooo many holes and gaps in our own history that it isn’t funny anymore, or should i say it is down right frustrating to be lied to, it insults my ego ..
Would you believe a society fighting over what might have happened in the past just to better suit some interests! Simply reminds me of childrens fighting during recess. Far from being a geologist, i can however, confidently state with facts that anything can be melted,ANYTHING, with the right tools and a few (isotopes) anything’s possible. I’m sorry to say that soft granite_or any other kind of rocks_, clay appearing out of nowhere from the ground up is not an hypothesis that i would support but since no one knows for sure what happened,,we’ll keep an open mind. to the administrator team of the site,,with your permission i’ll try to drop by once in a while with more info on my future traveling plans,,thank you for taking the time to read me.